At bestinthecountry.co.uk we are excited to announce the launch of our new and improved website! 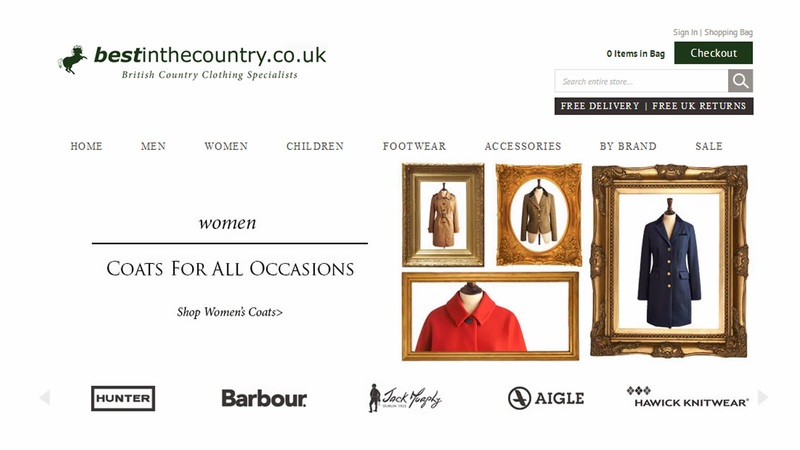 Don't worry, you can still find us in the same place - www.bestinthecountry.co.uk - and our commitment to service and to bringing you the best quality countrywear brands is still the same, but we hope to offer a more intuitive and enjoyable online shopping experience. To celebrate the launch of the new site, we are giving you the chance to win £500 to spend with us online. It's easy to enter, simply fill in your details here before midnight on February 28th, then sit back, relax and enjoy browsing through our great range!